Cascina Italia processes millions of eggs per day. By using a UR5 robot in their production facilities they have improved flexibility and operational efficiency. The collaborative robot relieves employees from the strenuous process of preparing bulky packages for large-scale distribution. 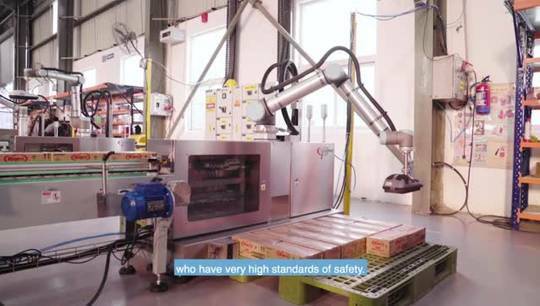 The added benefit of the UR5’s fenceless-operation allows the robot to work side-by-side with employees on the production lines.